I attended the annual Printer’s Row Lit Fest in Chicago this past weekend. Since I started writing over 10 years ago, I have been driving the 45 minute trip in June to the city to walk five blocks, on Dearborn, from Congress to Polk. My only driving force to visit the Fest at that time was to check out small presses; I wanted to see what kind of books were published, who published them and if any of them published memoirs. I was discouraged to conclude that my virginal manuscript was nowhere near the caliber of these published works. But that was okay. I digressed to standing at attention at boxes, racks and stands to search catchy titles and familiar authors of literary non-fiction and good character-developed fiction. I wanted to read to learn, to apply my classroom of acquired books to rewriting a better memoir. Over recent years, even though my memoir took root and grew with more potential, I relinquished hope of having my memoir published. I remained far away from a developed book. Though never abandoned or lost sight, I continued my diligence to make the work better. In support of my need to maintain a writing rhythm and keep in practice mode, I read. I naturally gravitate toward books with similar universal themes as mines. Yes, as any healthy, active writer, I compare my works to similar writings. And then I realize I have some serious development issues. I know what my memoir is not about, but I can, in a sketchy, generally speaking way, tell you what it is about. This is a weakness I must strengthen. So where does the thing about Wild Mushrooms come in? I saw this book’s vibrant cover displayed on a stand on a table’s end. Admittedly, my memoir is no field-to-kitchen guide and has nothing to do with wild mushrooms. 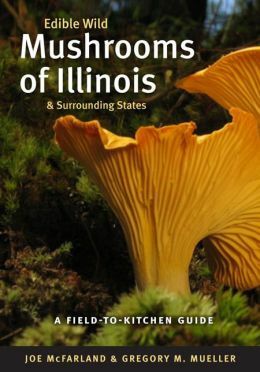 But somewhere, someone will want to delve into pages of wild mushrooms to see what it’s about because the cover and text tells the reader with focus and clarity what can be expected inside. I learned by this example that my story needs to be focused, clear, and developed if I want to draw a reader. Over the years, I have been spinning my wheels, pardon the cliché, in figuring out why my story is special and different. Why would someone want to read it? I keep the answer in mind as I continue my rewrites, remembering the wild mushrooms, the “edible” wild mushrooms, and know that details in my story’s development will get it where it should be. Thank you wild mushrooms for helping me to know I need a developed story and that there is someone out there who just might want to pick up my book someday. Going to the Fest was not only to search for new books to supplement my reading appetite, but also to be patient with the years it has taken me to develop it, to walk the 5 blocks every year in the hopes that one day, my memoir will sit on a stand, displayed with a brilliant, eye-catching cover like my friend, the mushroom.